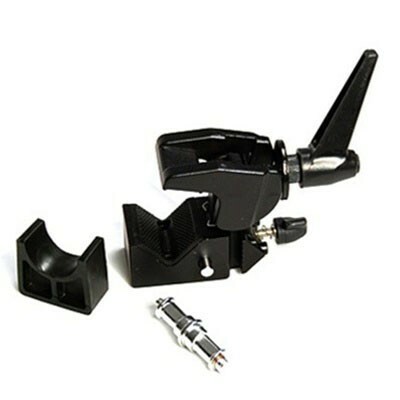 This heavy duty clamp offers you versatility in the studio. It can be used on almost any light stand, extension arm, or boom arm to secure accessories in place. Additional lights or accessories can be mounted on the reversible stud of the clamp.